Wooden Steps For Hikers Exploring The Wilderness Of Patagonia, South America. 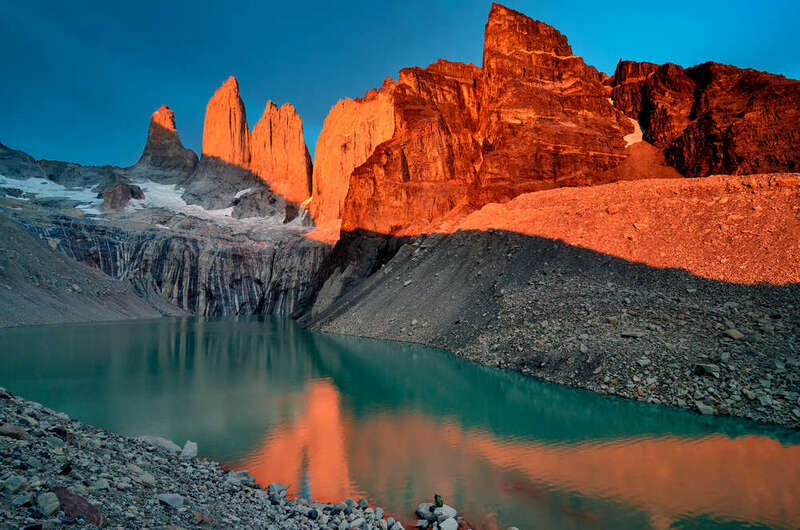 Granite Towers Of Torres Del Paine, Chile. 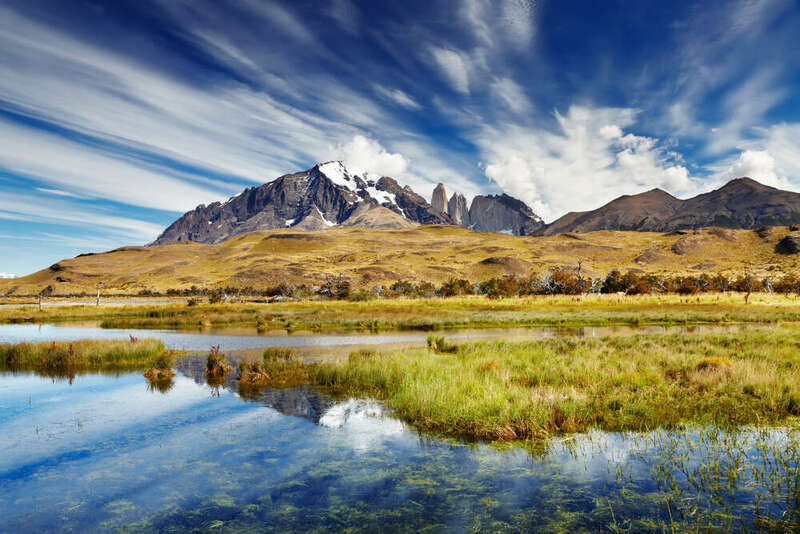 If you're short on time and just want to catch the highlights of Torres del Paine this trip is for you. This trek hits the main highlights of what might be South America's finest national park. 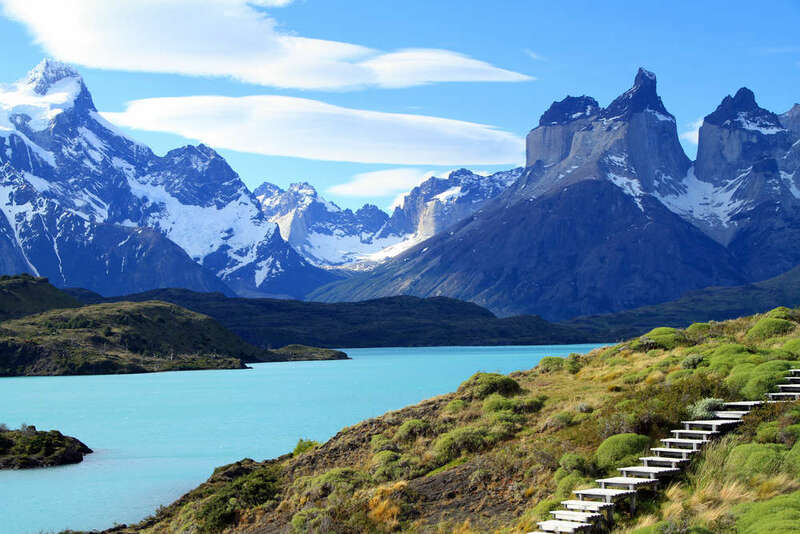 In this adventure, we will hike to the base of the granite pillars of Torres del Paine which stand almost 2000m/6500ft above the surrounding glaciers and lakes; Then trek to the French Valley to see a panoramic view of Paine Grande, the parks tallest peak, and French Glacier. The last days we hike up to the Glacier Grey where visitors can often catch a glimpse of the giant icebergs calving directly into the lake. Combine some of the world's greatest scenery with an excellent trail and mountain hut system and this has to be one of the finest short treks anywhere. On a budget? Ask your travel agent for the Express W Trek, or change your lodging for Camping! Looking to spend more time in the Park? Ask your travel agent to extend your stay! 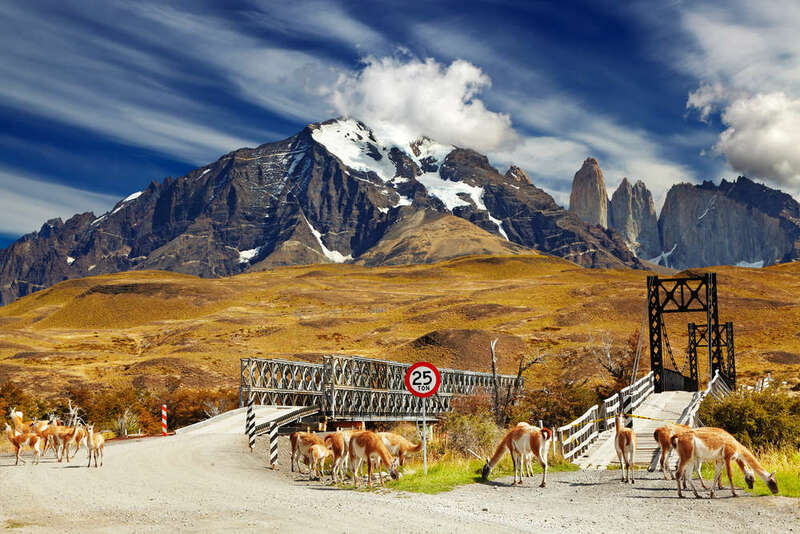 Welcome to Chile's southernmost Patagonia region! We will transfer you to the National Park. We take an early breakfast at the Refugio and start the days trek up the Ascencio River to the Towers Lookout point for fantastic views of the world famous granitic spires. We have lunch here before hiking back down the valley and heading to Refugio Chileno where you will have dinner and enjoy the night. It is around 8 hours of walking. Today we follow the trail around the base of Almirante Nieto Mountain (2750 mts.) and cross the Bader River to arrive at Refugio Los Cuernos where you will spend the night. It is around 6 hours 30 min of walking. We start the day with a 2 hour hike up the beautiful French Valley through a miniature Beech forest. 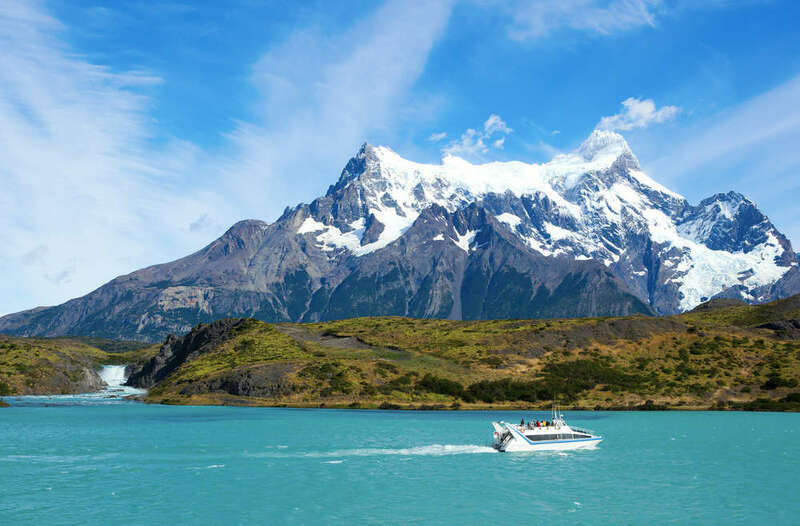 Upon reaching the French Valley Viewpoint we have fabulous views of the surrounding hanging glaciers, mountain lakes and several peaks which include; the Cuernos (2600 M), Espada (2400 M) and Fortaleza (2800 M). It is around 9 hours of walking. 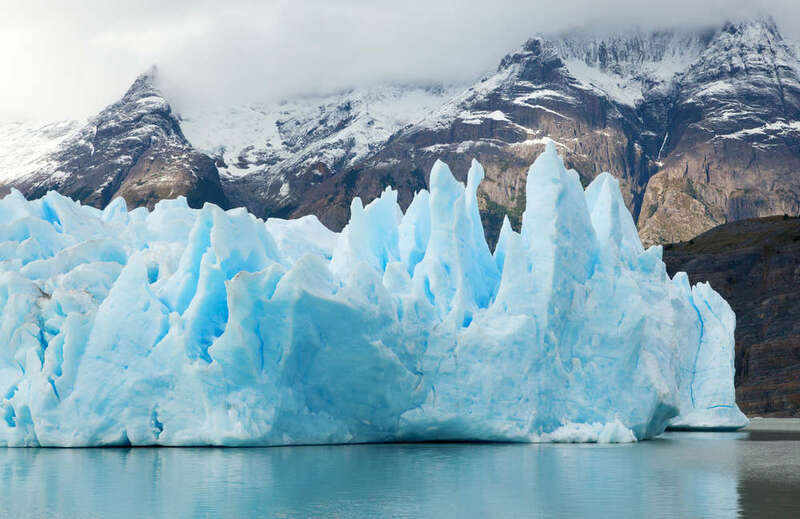 On the last day, we will begin early morning with the hike to the Grey Glacier and can enjoy the views of the vast South Patagonia Ice Field with its many unclimbed mountains. If we are lucky we will see giant icebergs calving into the lake from the view point. It is around 7 hours of walking. Transfer by Catamaran through Lake Pehoe. 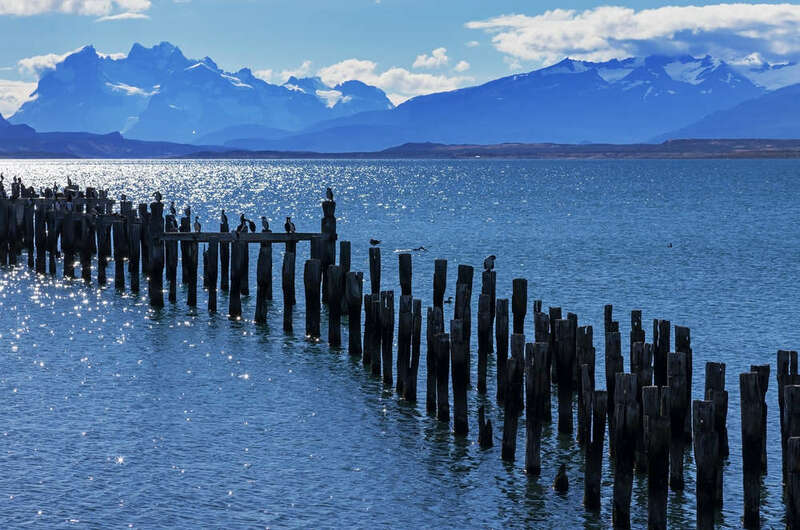 Transfer back to Puerto Natales. A private or group bilingual guide can be included in your W trek. Please note the itinerary and refuge depend on availability. Each refugio offers comfortable, full bedding shared dorm rooms, with towels, soap and shampoo.